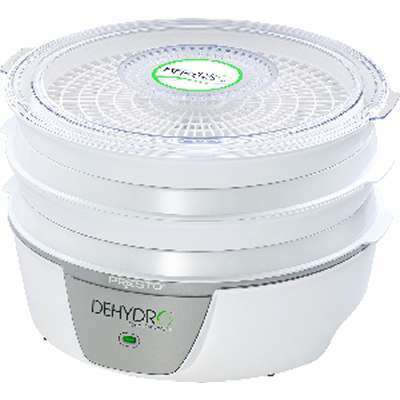 Dehydrates fruits, vegetables, and makes homemade jerky. Expandable four-tray system makes homemade jerky from meat, poultry or seafood. It also dehydrates fruits, vegetables, herbs, and spices. Healthy eating. Dries fruit and vegetables with no additives or preservative. Dehydration maintains natural vitamins and minerals. Saves space. The drying trays nest when not in use for over a 35% reduction in storage space and the cord stores in base. WARNING: This product contains a chemical known to the State of California to cause cancer. For more information go to www.P65Warnings.ca.gov.